Threadgoldite: Mineral information, data and localities. Named after Ian Malcolm Threadgold (1929-1990), mineralogist, University of Sydney, Australia, who in 1960 described an unnamed mineral with very similar structure. This page provides mineralogical data about Threadgoldite. Uraninite 2 photos of Threadgoldite associated with Uraninite on mindat.org. 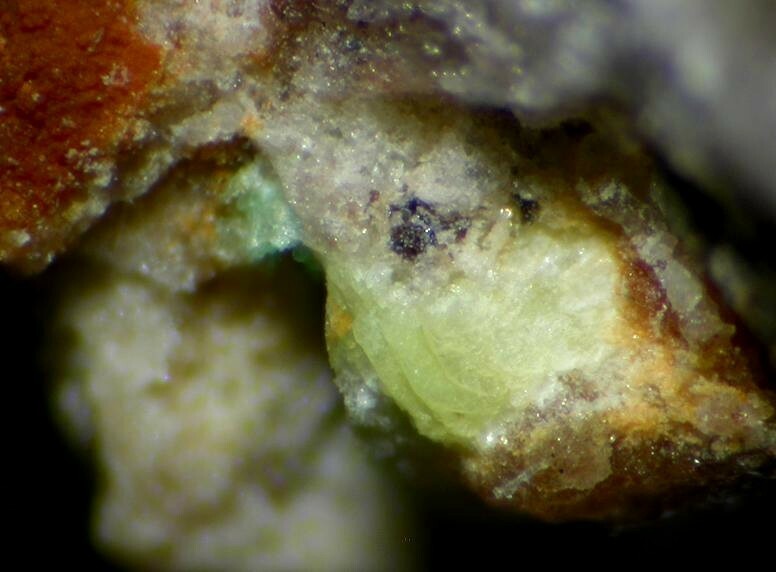 Torbernite 1 photo of Threadgoldite associated with Torbernite on mindat.org. 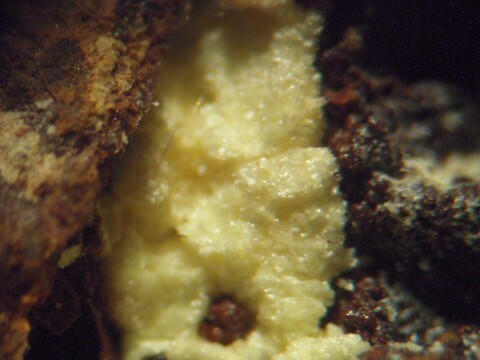 Carnotite 1 photo of Threadgoldite associated with Carnotite on mindat.org. 42.11.13.1 Vanuralite Al(UO2)2(V2O8)(OH) · 11H2O Mon. 42.11.13.2 Metavanuralite Al(UO2)2(VO4)2(OH) · 8H2O Tric. Deliens, M., Piret, P. (1979) Les phosphates d'uranyle et d'aluminium de Kobokobo IV. 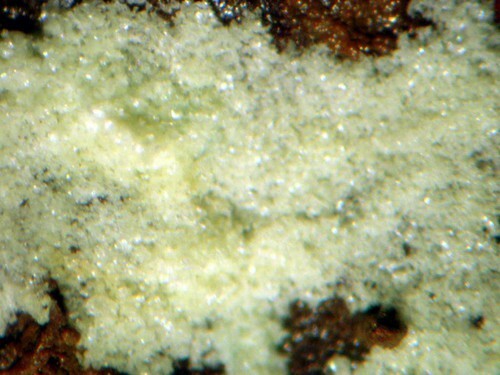 La threadgoldite, Al(UO2)2(PO4)2(OH)·8H2O, nouveau mineral. Bulletin de Minéralogie: 102: 338-341. Piret, P., Declercq, J.P., Wauters-Stoop, D. (1979) Structure of threadgoldite. Acta Crystallographica: B35: 3017-3020. Khosrawan-Sazedj, F. (1982) On the space group of threadgoldite. Tschermaks Mineralogische und Petrographische Mitteilungen: 30: 111. Collected by Eckhard Stuart. EDS and XRD analyzed.